Be Known for Something : Discover Your Church Communication Thread / Communication Strategy / Can Print Communications Co-exist with a Digital Hub? I tell my kids that it’s rarely “either/or” and usually “both/and”. Then I regret teaching the axiom since Biblical “truths” contradict the slogan. 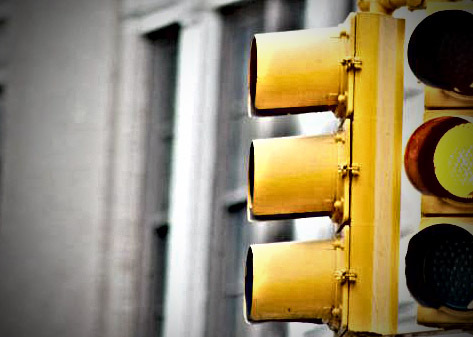 Like a traffic light some admonitions require a red light or a green light; never both on at the same time. But when it comes to finding solutions and creativity, the best answers usually require starting with “both/and”. Church communication hubs require it too. Print communications and Digital communications need to co-exist but we must be wise about how they function together or you’ll end up with over-communicating — which leads to attention fatigue. With my 2 college-aged sons, I know if I have an important message to deliver; I try to do it in person. As a church communicator, you know that delivering a message from the pulpit gets the best attention too. But it all can’t be done that way. For my sons, texting is the next preferred method. Leaving a handwritten note is futile. But so is sending them an email. I’d be better off taking a picture of the note and posting it on Instagram. Which is what one of our church client’s did for youth communications. They simply print one poster and post a picture of it. Then they throw away the printed poster (which would never be seen). The message then becomes shareable! Know your Audience. Your audience always determines the communications method. Start with demographics and then consider the way they prefer to receive news. 20-somethings prefer digital, 30’s and 40’s go back and forth, 50+ tend to gravitate towards print communications (they like to print what they find online so they can remember it). Know the method’s limitations. Each method has limitations. Such as competition for time and other messages. Tweets need to be repeated about 6x/day in order to “catch” people, where Facebook should only be posted once or twice/day. Bulletins (print communications) need to be simplified and organized or people won’t read them. Your message needs to be delivered within the limitations of the method. Know the longevity of the message AND the method. Print communications last a long time but require a longer lead time to create it. Digital is instantaneous with a shorter residue (time it “hangs around”). Snapchat disappears quickly while websites retain messages for a long time. Timing of the message is critical to determine the method. Can print co-exist with digital? Absolutely, but realize that print communications is diminishing while digital is dominating because a message can be pushed “just in time”. So let digital lead your print communications strategy. This tough balance needs to be customized based on your audience (and not your presence).